Tablet computers are making significant inroads in the enterprise - and in a recent survey of over 150 executives, Research In Motion® explores which features are most important. 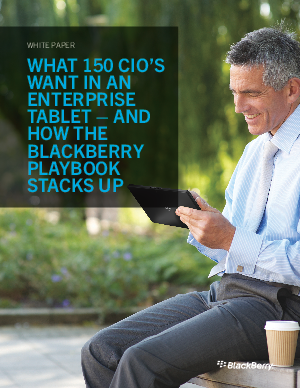 The BlackBerry® PlayBookT tablet provides many features that make it ideal for the enterprise market, including a secure and manageable mobile computing platform. Find out what CIOs really think about its performance.